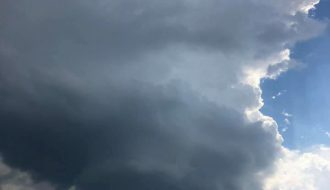 The Bureau of Meteorology warns that, at 2:50 pm, very dangerous thunderstorms were detected on weather radar near Laidley and the McPherson Range. These thunderstorms are moving towards the east. Very dangerous thunderstorms are forecast to affect Marburg by 3:20 pm and Ipswich and Coolangatta by 3:50 pm. 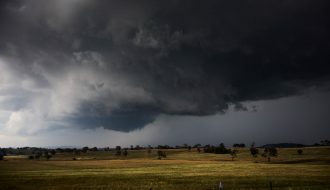 Other severe thunderstorms were located near Maroon Dam and Mount Barney. 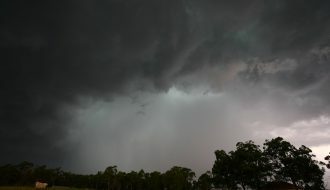 They are forecast to affect Kooralbyn by 3:20 pm and Little Nerang Dam by 3:50 pm. 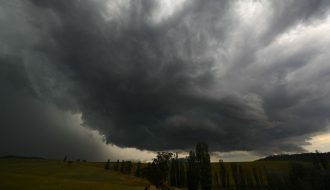 Destructive winds, heavy rainfall that may lead to flash flooding and large hailstones are likely. 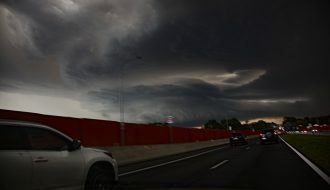 This is the phase when it approaches and weakens near the Gold Coast most likely due to being overtaken by the gust front of a storm following and merging with it. 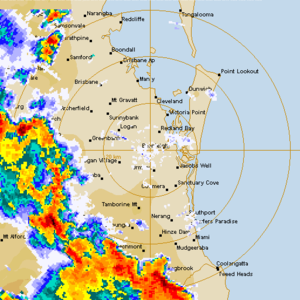 Did any hail occur in the Gold Coast itself or had the supercell virtually gone into collapse mode by this time? Yes the Gold Coast did get hail, but only a few chips mixed with rain. 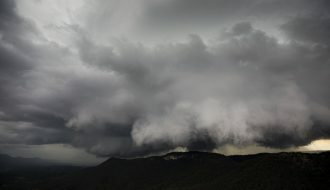 It was only -4 at 500 at the time, so was not going to be a large hail day. 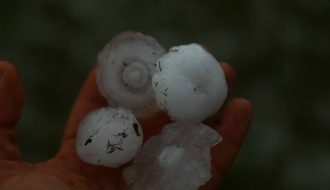 1 to 2cm hail around the Currumbin Valley area – got some video sent to me of it. 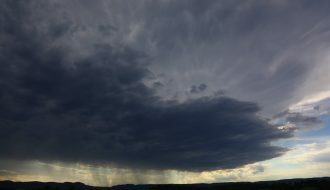 Thanks James, and the supercell passed right over it? Always good to know what is going on in the storm based in temperature profiles.